British No. 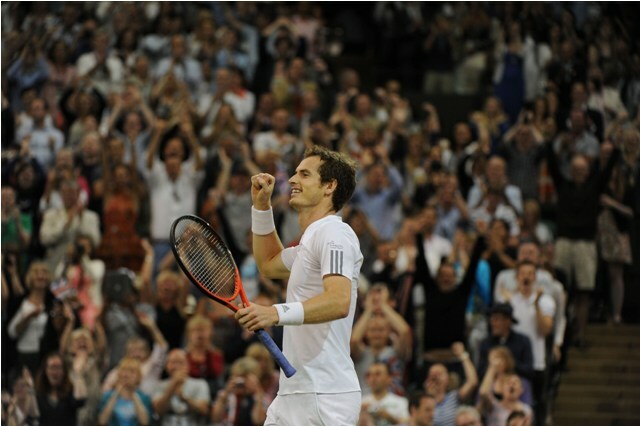 1 Andy Murray made history this summer as he became the first British man in 76 years to win a Wimbledon singles title. It was a moment that has cemented his place amongst the greatest British athletes, and alongside British tennis’ pride and joy Fred Perry. While most will remember the Wimbledon final for its magnificent final game and the monumental achievement, but it was not the best match of the tournament, not even for the Brit. Just two matches prior, Murray had taken part in a thrilling five-set match with Fernando Verdasco that had the fans on Centre Court riding an near-unbearable wave of emotion. For a while, it would have appeared that their hopes of a British Wimbledon champion were once again dashed, but that was not the case, as Murray would produce some of his best tennis that season to inch his way closer to cementing his place in tennis history. Leading up to the Wimbledon championships, the media did not focus on much else apart from Andy Murray and the 76 year drought. He would later admit that the pressure was immense and that it was a burden that made his two weeks quite difficult. In the second week of the tournament, Murray came up against Fernando Verdasco, who he had not faced in over four year and who had previously toppled the Brit in Grand Slam competition. It was an uneasy start for Murray as he plodded around on the court and committing far more unforced errors that were typical of him. He would eventually drop his serve in the 10th game on a double fault, which was all Verdasco needed to take the opening set 6-4. The Spaniard continued to torment Murray with has favoured forehand shot and while he commit a high number of errors, he continued to keep Andy on the defensive and once again broke ahead, this time in more decisive fashion. He would win five straight games to take a two set lead. By this point, the crowd on Centre Court was growing restless as it dawned on them that they may not even see Murray reach the semi-finals. While things had not reached a desperate state, it was quickly looking that way. Yet, while victory was in sight for the Spaniard, that was when the forehand began to fail him and his errors far exceeded his winners. That gave Murray the opportunity to break in the 2nd game and gain some much needed breathing space. Verdasco would only win one game that set, as Murray appeared rejuvenated and blazed his comeback trail. The fourth set was a tight affair as Verdasco did his best to try and break serve but Murray’s serve came to his aid. Six games into the set, Murray broke ahead after Fernando hit a long forehand, which allowed Murray to take a crucial lead and bring the match to level terms. The fifth set of the emotional match yet another close one and had its scares for the crowd as Murray nearly lost his serve at 4-3 down but held his nerve and finally broke ahead at 5-5 and served out the match with a love game, emphatically cementing his win to the delight of the crowd. The match understandably overshadowed by the Wimbledon final, where the storyline provided enough drama to make the match memorable. In this case, it was the fantastic heart and determination from Verdasco which made the match a delight to watch. Verdasco gave Murray presented the hardest test in the tournament for Murray and should be acknowledged for that achievement.